UPDATE | After months of delays and political wrangling, the Government has today published the new BBC Charter that outlines the broadcaster's role and responsibilities for the next 11 years. The new Charter comes into force next year, following a transitional period and lasts until 31st December 2027. It sees Ofcom take a wider role regulating the BBC in 2017, replacing some of the roles of the BBC Trust and also secures the future of the licence fee, for the time being. 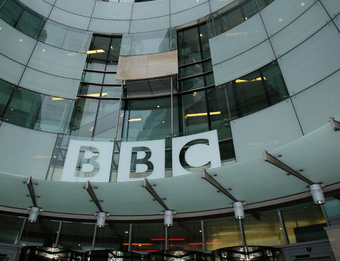 The use of licence fee money to fund fast broadband internet roll-out will be wound down in the coming years, as will the BBC's obligations towards new local TV operators. But the BBC will become responsible for funding TV licences for the over 75s. Tied into the new Charter is a framework agreement that the BBC should "continue to use all reasonable endeavours to support the transition from analogue to digital radio", and a commitment to support the forthcoming 700MHz frequency clearance that will affect how Freeview services are distributed. The BBC is also allowed to operate a subscription service as part of the framework, subject to ministerial approval. The BBC plans to make the remaining SD-only nations and regions outlets available in HD were dependent on this new Charter being agreed, with further details expected to be outlined soon. "The priority of the Trust has been to listen to the public, and ensure the next Charter provides the content and services they want and love. The Charter published today achieves that. It provides a blueprint for a confident, innovative and creatively ambitious BBC, which continues to inform, educate and entertain, and remains free at the point of use. The BBC’s scope and public purposes are broadly unchanged; it continues to offer something for everyone. And the BBC remains focused on the challenge of representing the whole of the UK and providing ever-improving value for money. Importantly, this new 11-year Charter helps protect the BBC’s independence by taking debates about its future outside of the electoral cycle; and it establishes a clear new structure for governance and regulation. While the Government could have gone further in opening up future funding proposals for external scrutiny, we recognise the step forward in the inclusion, for the first time, of a process for setting the licence fee, and the certainty of funding until 2021, including additional money for the World Service. On behalf of all Trustees, I would like to thank everyone who took the time to share their views – through our two public consultations, the seminars we held around the country and the research we commissioned. You have given the BBC and its new Board a clear mandate that they must now put into action, and a clear responsibility to protect the BBC’s independence, and put you - our audience - at the heart of all decision-making." “The public has been clear in its support for a strong and independent BBC that informs, educates and entertains. This 11-year Charter endorses that and allows us to create a BBC which is more open, more creative and more distinctive than ever. A BBC focused squarely on making outstanding programmes and services and bringing impartial and trusted news to people across the whole of the UK and around the world.